Love role-playing games, but looking for something… different? We're right there with you! StoryWeaver Games is a collective of like-minded, quirky game designers who love weaving stories as much as you do! Every one of our games is aimed at making your gaming table a little stranger, a little more dangerous, a lttle more fun, a little more… well… MORE. Want some epic sci-fi? The have a look at the hugely popular High-Space and High-Space 2.0 settings, where you play genetic wildcards, operating outside of the law to protect a far future, super-tech utopia. Like your space a bit more horrific? Then check out Rapture for smart, dark sci-fi terror. If you've seen Event Horizon, you know Rapture! 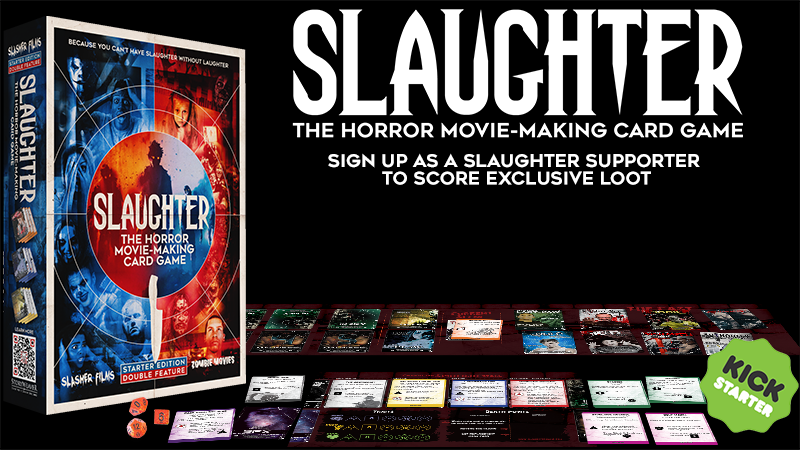 Prefer your horror more earth-bound - with cards to guide the action and bloodshed?Then check out our Slaughter - The Horror Movie Making Game - Kickstarter Pre-Launch Access. How about a little British satire with spies? Give the hilarious and often poignant Deniable a go. Looking for fantasy with a twist? Then you just have check out Hael, a fantasy world that turns all the tropes on their head! From Savage Worlds bestsellers to indie narrative-focused storytelling games... whatever sort of gaming you want for your next fun night at the table (or on virtual tabletop), we’ve got you covered!